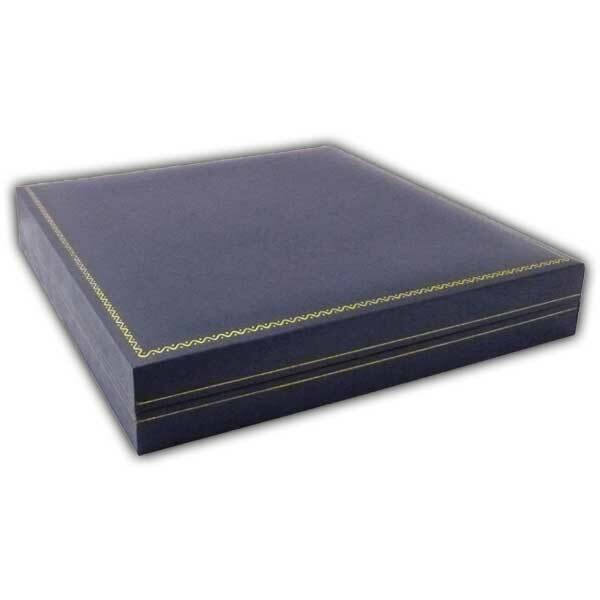 Smart Leatherette covered box in Navy Blue to hold six 44mm coin capsules. 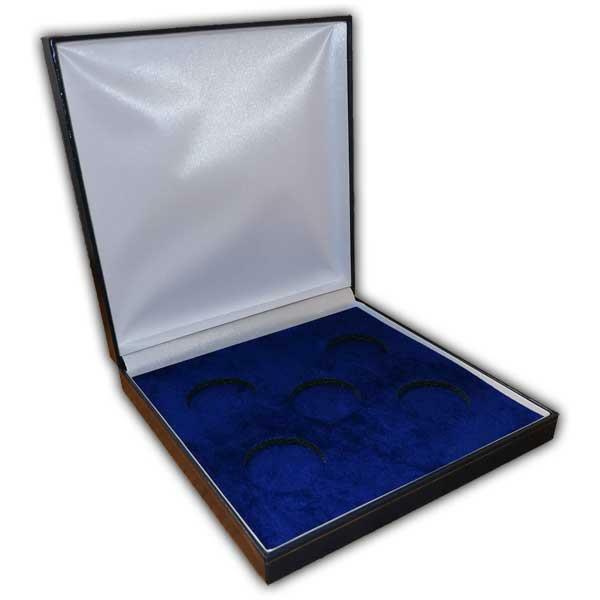 Ideal for £5/Crown size coins. Box size 190 x 194 x 33mm.